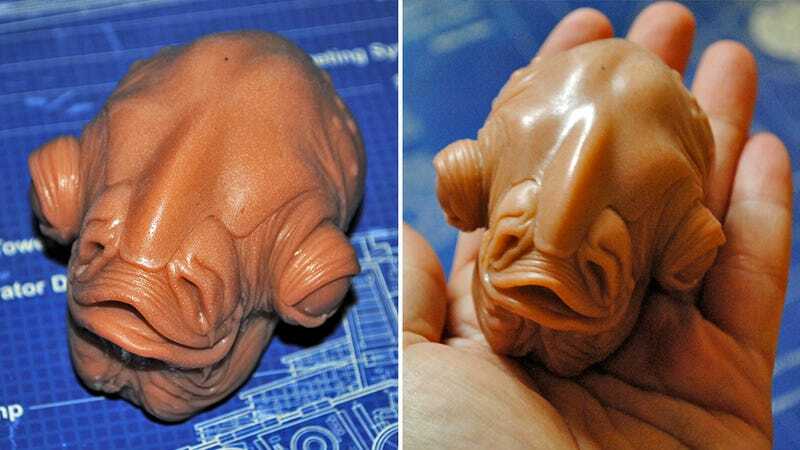 If your love of Star Wars goes deeper than just being a fan of the movies—significantly deeper—the thought of lathering up with Admiral Ackbar’s head might just be appealing enough to you to risk family or roommates catching you using this unusual soap during your morning shower routine. Available from Etsy seller NerdySoap, the Admiral is available in a wide variety of colors and scents including everything from mango, to lavender, to sandalwood. Each one will set you back around five bucks, which is cheap enough to not feel too heartbroken when Ackbar eventually melts away down the drain.